Juliana's golden mole weighs 21 - 75 g (0.75 - 2.7 oz). It is confined to sandy soils, often pockets of weathered sandstone associated with rocky ridges. It is also common in well-irrigated gardens. Usually 2 young are born, sometimes 1. Golden moles eat invertebrates such as insects, earthworms and snails. Their young are born in a grass-lined cavity in the ground. Golden moles usually dig their tunnels just below the ground. Juliana’s golden mole is found in Tshwane (Pretoria) (Gauteng), Nylstroom (Limpopo Province) and Kruger National Park (Mpumalanga), South Africa. 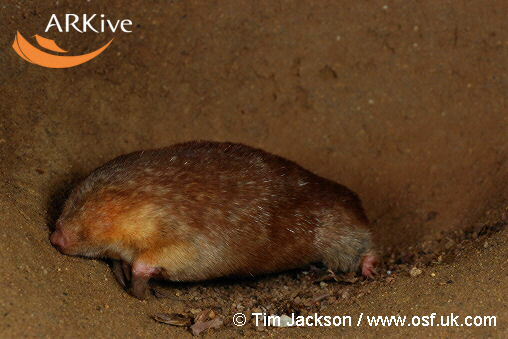 Juliana’s golden mole is locally common. However, its distribution is patchy because of its specialized habitat requirements. There are no data on population size. The population on Bronberg ridge outside Tshwane (Pretoria) is being severely affected by intensive urbanization and a mining operation, and it is considered to be critically endangered. The Nylsvley population in Limpopo occurs in farmlands (adjoining the Nylsvley Nature Reserve) that are subject to habitat alteration and potential degradation. Juliana's golden mole weighs 21 - 75 g (0.75 - 2.7 oz). Juliana's golden mole is active during the daytime and the rainy season (IUCN 2004) . 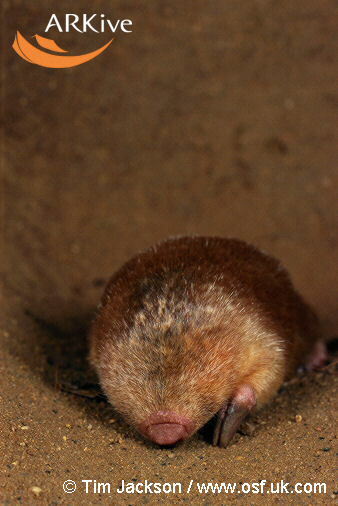 Golden moles usually dig their tunnels just below the ground. There are 2 - 3 individuals/ha (about 1 individual/ac) in prime habitat (IUCN 2006).